Happy Monday friends! I've decided to switch things up a little with 'Geek of the Week' so at the bottom you'll find links to some of the more random/fashion-y things that have caught my eye lately. I'm not sure they'll always be there but in case you're like me and have a case of Spring Fever have fun looking around! 1) If it's wrong of me to want this sushi pillow then I don't want to be right. 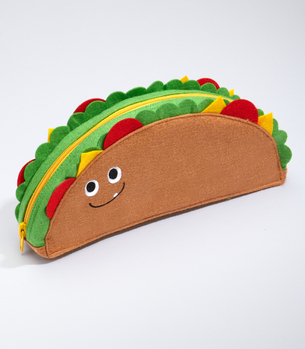 2) Taco makeup pouch! Are you sensing a theme here? Fluffy, squishy, completely useless cute things are my fave. 3) Anne Bishop (Dark Jewel Trilogy) has released a new book! I've just picked it up, haven't even started it, but I'm sure it's going to be awesome. Like your books fantasy filled, a little dark, with incredible characters? 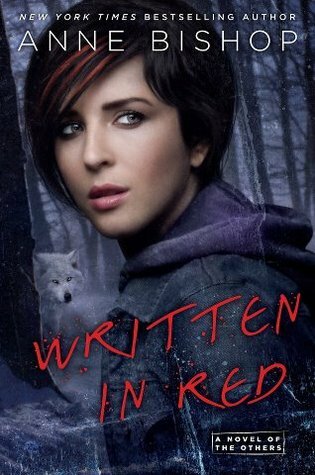 Then this should be on your TBR list! 4) I did a full 'laugh awkwardly loud in the middle of work' laugh at this shirt and even looking at it now I love it. Will I buy it? I'm undecided, mostly because I just don't wear t-shirts that often.